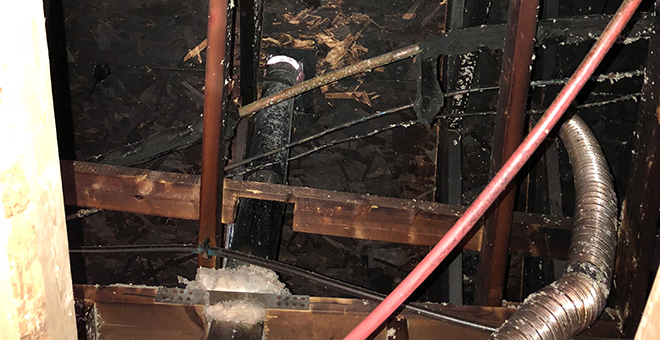 We understand how sensitive this situation can be—and we know that one of the most important factors in a successful fire damage restoration is immediate attention. We are committed to protecting your property from any further damage, so our teams arrive on-site immediately. Time is of the essence when it comes to fire and smoke restoration. RestorationHQ will be on-site within two hours of speaking with you, ready to make the kind of quick thinking decisions that could save your property from total destruction. 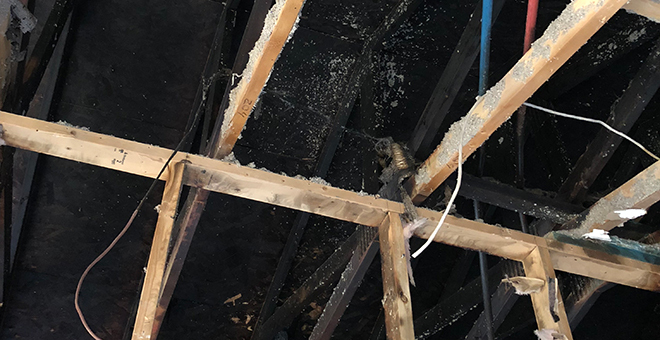 Clients experiencing fire and smoke damage usually like us to walk them through the steps to restoration, so this is how RestorationHQ will restore your property in the event of fire and smoke damage. 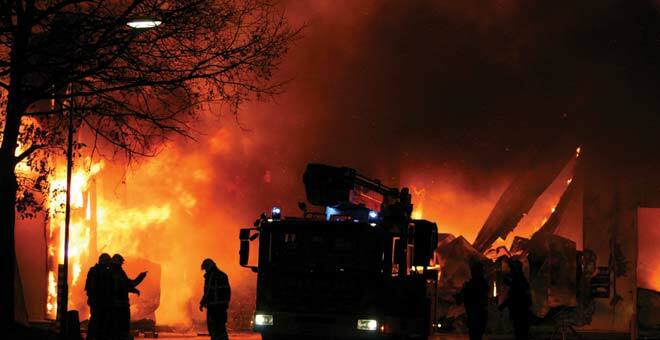 What type of facility has been damaged (for example, warehouse or office building)? What kind of fire did your facility experience (for example, grease or electrical)? What contents were in the facility (for example, electrical equipment or cleaning supplies)? How was the fire suppressed (for example, foam or water)? 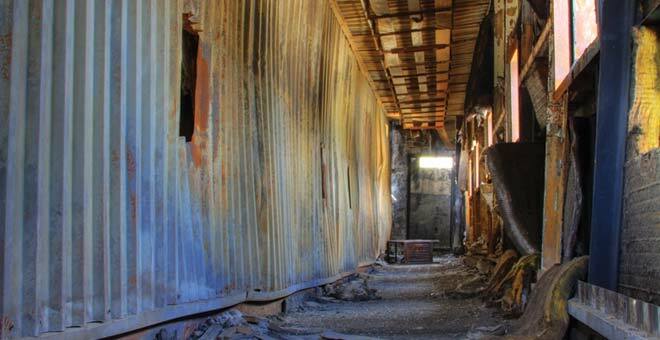 When would you need the facility reopened (for example, retail operations or living facility)? Part of our service to you involves a full documentation of the scene. This includes photos, videos and an inventory list of your damaged content. Once the proper documentation is completed, our next step is to remove your “packed-out” items, or items needing repair, and then go through a thorough initial sweep/cleanup of your facility. 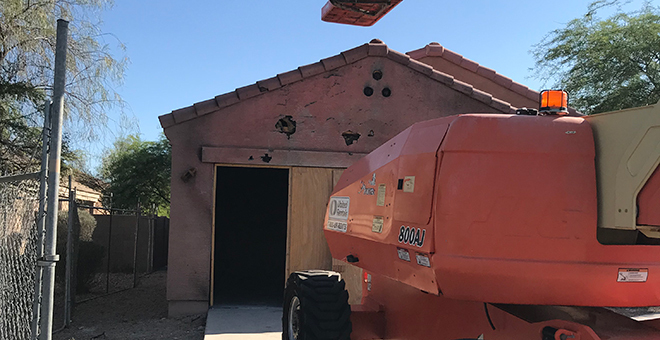 After we have taken care of that, our team will board up windows, secure doors, build a fence and cover all firefighting holes in your structure to protect your property from any additional unwanted damage or theft. Secondary damage is a big concern even after the initial clean up in a fire and smoke damage situation. Most of the time, firefighters use varying amounts of water to stop the flames, leaving your building wet and in prime condition to foster mold growth. This can happen in as few as 24 to 72 hours! Fast action is necessary to prevent additional damage to your property. As previously mentioned, we strive to get to your property within two hours of your phone call to begin the restoration process, and this includes drying out the facility as soon as possible. Our commercial grade dehumidifiers and fans will dry your building materials quickly and efficiently to reduce the chance that you’ll see mold growth and secondary damage in your structure. What Happens if My Structure Does Have Mold or Secondary Damage? Though it is not an ideal situation, secondary damage and mold growth does happen, especially if access to the structure is unavailable right away. Our partners, certified Indoor Air Quality Professional, test the air and affected structural materials for mold growth. 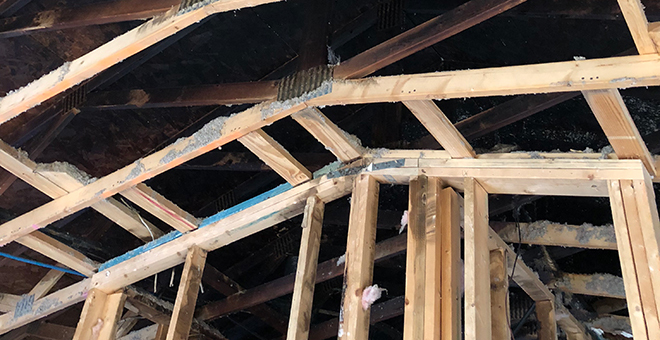 They assess the secondary damage situation so that we know exactly what we’re dealing with before providing a restoration plan, and then we get to work on restoring your property. Post-fire odor is a large concern and can impact your entire property, not just the area of your property that’s been damaged. Part of restoring your property to its pre-loss condition is removing any and all fire odors throughout your property. RestorationHQ uses a variety of methods including cleaning, paint sealing and treatment with thermal fogging, hydroxyl or ozone generating equipment. Smoke residues often leave chemicals, which can permanently stain or alter the finishes on homes and other buildings. Rest assured that our team is experienced in post-fire clean up, which includes smoke residue and soot clean up. Upon arriving on site, key items will be targeted and addressed immediately to prevent any secondary damage from occurring. Our fast acting team will save as much of your content as possible, including personal and other important items. Once the initial concerns have been addressed, such as content removal, smoke damage remediation and etc., one of the last steps is to rebuild your property to its pre-fire condition. Our repairs can range from small to large, from electrical to foundational. We’ve even rebuilt entire properties from the ground up! RestorationHQ is a licensed General Contractor, meaning we have the team and the tools to help you during this stressful time. You only have one team you need to call. Learn more about fire and smoke damage restoration right here. 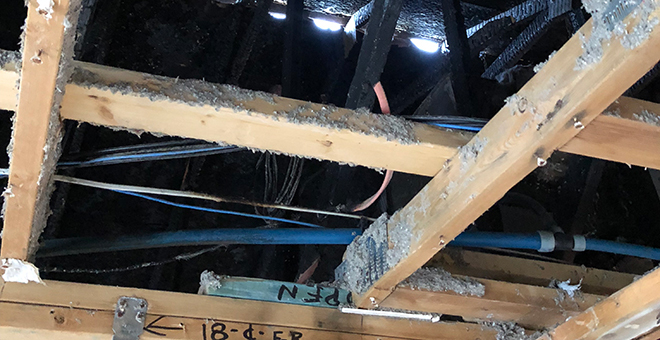 Fire and smoke damage can be serious, and while we hope you never experience it, we are here to help if and when it does happen. Please call RestorationHQ at 480-256-1453 if you think your property has been damaged.